Rent Silversmith Hotel Chicago Downtown | Corporate Events | Wedding Locations, Event Spaces and Party Venues. Known throughout the city as a premier venue for successful VIP events and social occasions, our luxury downtown hotel near the financial district is perfect for Chicago gatherings. Known throughout the city as a premier venue for successful VIP events and social occasions, our luxury downtown hotel near the financial district is perfect for Chicago gatherings. Intimate corporate meetings are a specialty, but with approx. 4,400 square feet of modern space, we also excel at unforgettable wedding receptions, product launches, sales meetings, training sessions, and much more. Our professional planners will help you organize a sensational event, and make sure even the smallest detail is handled with care. We can also custom design a catering package to suit your own personal tastes from breakfast buffets to lavish banquet fare, ensuring your meeting space is tailored to your every need. The professional event coordinators of the Silversmith Hotel are happy to assist you with all the arrangements for a successful Chicago event. We offer several support services including high-speed wireless Internet access, catering, audiovisual equipment, flip charts, whiteboards, overhead projectors, DVD players, and more. Just let us know what you need, and our event planners will take care of it. 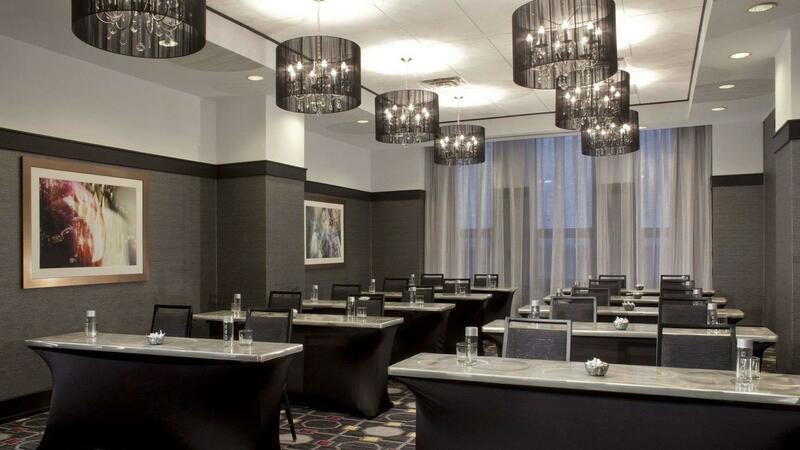 Silversmith Hotel Chicago Downtown offers four distinct meeting venues boasting high-speed WiFi and state-of-the-art AV equipment to guarantee every presentation is sharp and on the cutting edge. Flexible floor plans offer a range of layouts that can host 12 to 100 guests.